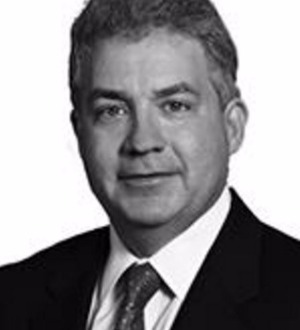 Gary Marsh is a member of Dentons' US Restructuring, Insolvency and Bankruptcy practice, and focuses on general commercial litigation and bankruptcy, workouts and debtor/creditor law. He represents creditors and debtors in Chapter 11 reorganization proceedings, out of court restructurings and debtor/creditor litigation. He also represents court appointed receivers, examiners and trustees. Gary has extensive experience in representing creditors in and out of bankruptcy court in enforcing their rights and remedies. He also analyzes and defends against preference and fraudulent conveyance actions, represents buyers of assets out of bankruptcy and represents landlords and other parties who have leases or contracts with debtors. Georgia Trend selected him as one of Georgia's "Legal Elite" and Atlanta Magazine named him one of Georgia's "Super Lawyers," and a "Top 100 Super Lawyer" in 2007 and 2012. Gary is a fellow in the American College of Bankruptcy and has been included in The Best Lawyers in America and Chambers USA as one of America's Leading Business Lawyers in Bankruptcy law. And he was recognized in 2013 by the Georgia chapter of the Turnaround Management Association for his outstanding turnaround work. Gary is Board Certified in Business Bankruptcy and Creditor's Rights by the American Board of Certification. Recognized in Georgia Trend magazine’s Legal Elite (2015). Listed in Who’s Who in America and Who’s Who in the World (2015-2016 editions). Winner of Turnaround Management Association Georgia's 2013 Turnaround of the Year Award (Small Company) for work on The Cliffs Club & Hospitality Group Inc.
Ranked in Georgia for Bankruptcy/Restructuring by Chambers USA (2003-2016).